​Former Reds Midfielder Danny Murphy has revealed that he believes that Liverpool are showing all the signs needed to secure their first ever Premier League title at the end of the season. Saturday's dramatic 4-3 win against Crystal Palace saw Jurgen Klopp's side briefly move seven points clear of nearest challengers Manchester City before their rivals cut the lead back to four after their 3-0 victory at Huddersfield Town. ​Liverpool have lost just once in the league this season and have remarkably won every single match they have played against the teams who are placed sixth or lower in the table. Speaking on ​Match of the Day, Murphy outlined why he believes the Reds will beat City to the title this year, declaring: "Today was the day I have actually really, completely gone in, I believe they're going to do it. "I'm thinking the last minute against Everton, a bit of luck with the deflections today, things are going Liverpool's way. "They've only got, and I say only, Spurs and Chelsea at home who you would fancy them to beat and United and Everton away, they are the tricky ones. "I think with City's fixtures and Liverpool's fixtures, Liverpool are strong favourites." 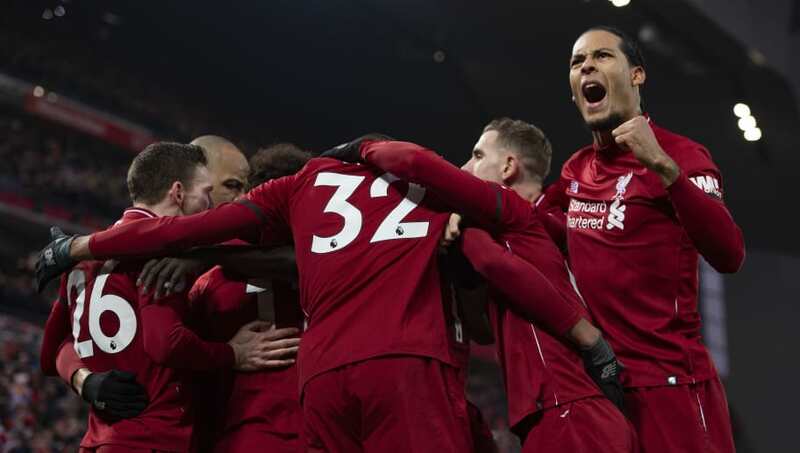 With the Merseyside outfit are only fighting on two fronts in the Premier League and the Champions League after being knocked out of the domestic cup competitions, they can focus almost entirely on securing a first top-flight title since 1990. ​Manchester City on the other hand are still in all three cups and therefore could face a lot of fixture congestion if they continue to progress into the latter stages. Liverpool's third-round exit from the FA Cup against Wolves means that they will have a ten-day break from action before facing ​Leicester City in the Premier League on 30 January.